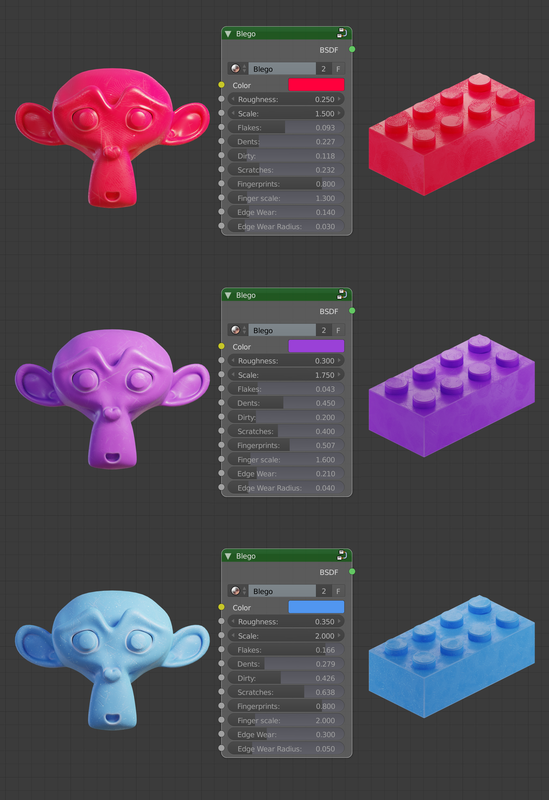 An easy-to-use shader for Blender Cycles and Eevee that will bring your models to life! One node to rule them all, create all kinds of plastic in no time. Control realistic features like fingerprints, dents, and scratches with simple sliders. Blego uses Principled BSDF shader, allowing a flexible workflow with physically correct shading. 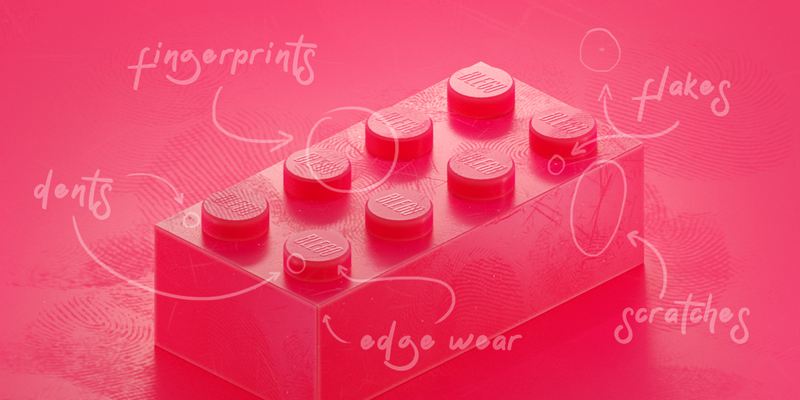 Please see Blego Bricks for a special shader, 3d printable bricks, and much more! You can import this material in your scene by going to File>Append and then selecting the material from the downloaded .BLEND file. Simple, right? Hope it help make your models look even more epic, I would love to see your projects! Why does the 'Edge Wear' doesn't work for me? Edge Wear is currently not supported by Eevee, everything else will work just fine. My Blender version doesn't have Eevee, what should I do? Is the Lego brick included in the .blend file? Do I need to UV unwrap my models to use this shader? No, the shader uses 'object' texture coordinates, thus, you need not worry about UVs at all. The textures look weird (stretched or squished) on my model, what should I do? You need to apply scale. Select model. Hit 'Ctrl+A'. Select 'Scale'. Is this compatible with Cycles and/or Eevee ? Yes, Blego is compatible with both Cycles and Eevee rendering engines. Is this a procedural shader? Yes, mostly. Everything except the fingerprints and scratches is procedural.